"Very clean hotel with adequate amenities." 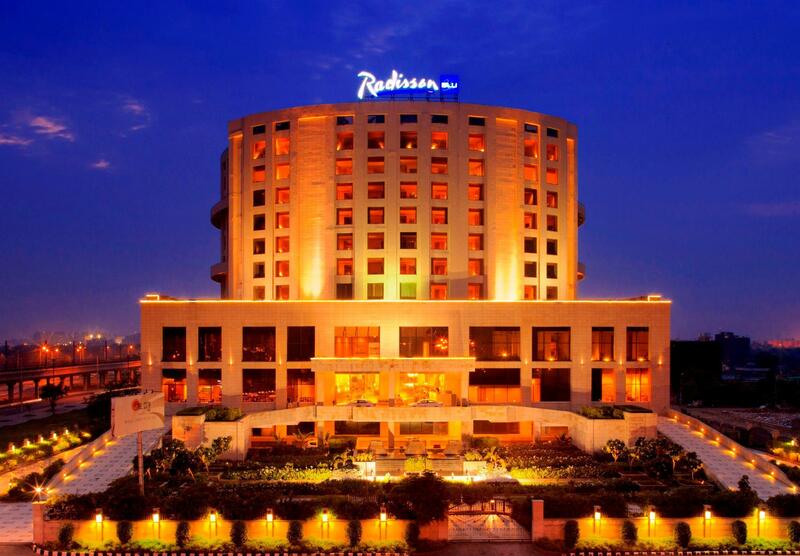 Have a question for Radisson Blu Hotel New Delhi Dwarka? "Beautiful hotel in the middle of busy Delhi." "A nice place to stay and the staff were wonderful, friendly, and extremely helpful." "You receive a complimentary fruit dish daily and the breakfast buffet is included." 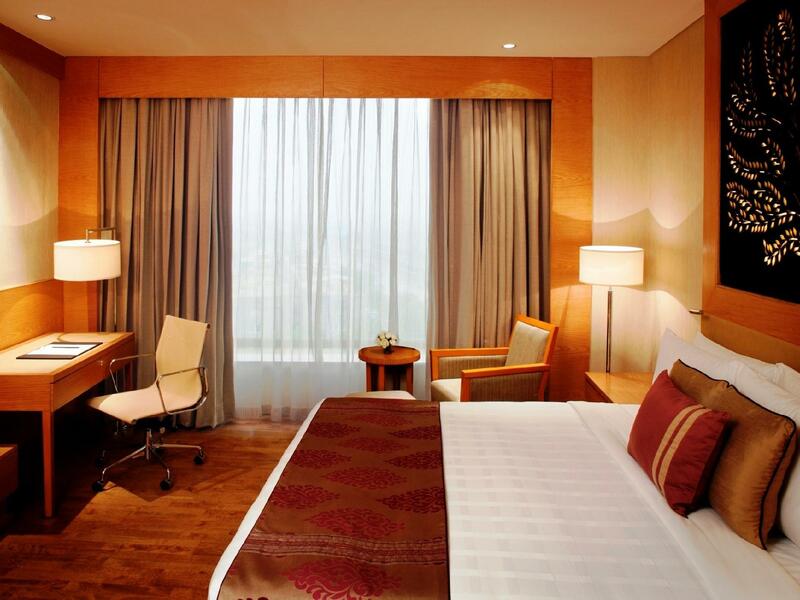 Well-placed in the business area of New Delhi and NCR city, Radisson Blu Hotel New Delhi Dwarka provides a most conducive spot for you to take a break from your busy days. The hotel is not too far from the city center: just 20.Km away, and it normally takes about 25 minutes to reach the airport. For sightseeing options and local attractions, one need not look far as the hotel enjoys close proximity to Soul City Mall, Bensups Hospital, Rockland Hospital. 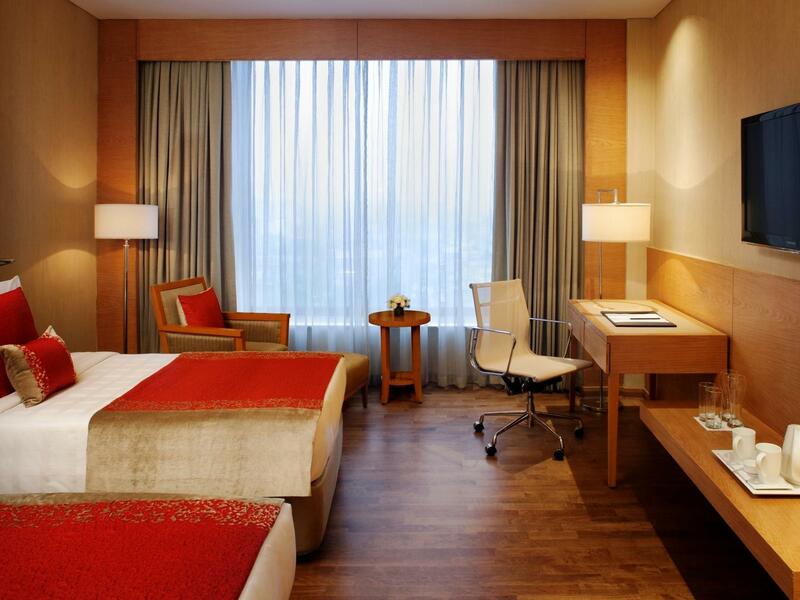 At Radisson Blu Hotel New Delhi Dwarka, the excellent service and superior facilities make for an unforgettable stay. 24-hour room service, free Wi-Fi in all rooms, 24-hour security, daily housekeeping, fireplace are just a few of the facilities that set Radisson Blu Hotel New Delhi Dwarka apart from other hotels in the city. Guests can choose from 219 rooms, all of which exude an atmosphere of total peace and harmony. The hotel offers many unique recreational opportunities such as hot tub, fitness center, sauna, outdoor pool, spa. Radisson Blu Hotel New Delhi Dwarka is an ideal place of stay for travelers seeking charm, comfort and convenience in New Delhi and NCR. "Just perfect in terms of service and location." Reception staff were totally unhelpful, although they were portraying that they were doing their best. They were not! Basically they had overbooked and thought it was ok to play around with people's emotions. Absolutely unprofessional and put a great damper at the start of our holiday. Dear Guest. We would like to extend our sincere apologies for the inconvenience faced you. We have shared your inputs with our team. The hotel was clean and quite nice. The only downside to the hotel would be the creaky floorboards in the room and that there appeared to be quite a few inexperienced staff. The more senior staff were very competent and all staff were helpful and polite. Check in was a breeze, although did take quite some time with a few groups coming in as we were waiting. The reception was constantly busy which meant it was quite difficult to get assistance .... However that was a very small thing and the staff more than made up for any issues with there performance. No hot water in my room. I had to call reception 8 times. Every time they said someone will be there in few minutes but I had to wait for 6 hours to get it fixed. Eventually they changed my room. The second room was not clean at all. dirty patches all over the place. Very bad smell in rooms. I am very disappointed. Wish I could go back in time get I money back.very bad lightning in room. No bathrobes. No light near the dressing.no menu was provided. No instruction booklet was provided. Although 3 rooms booked Hotel only accommodated with 2 saying that they did not have a confirmation for the 3rd room even though all paperwork was presented to hotel. staff were rude and not helpful at all. Agoda were very helpful. Next time I go to Delhi I won’t miss Radisson Blu Dwarka. We stayed here about 5 nights. 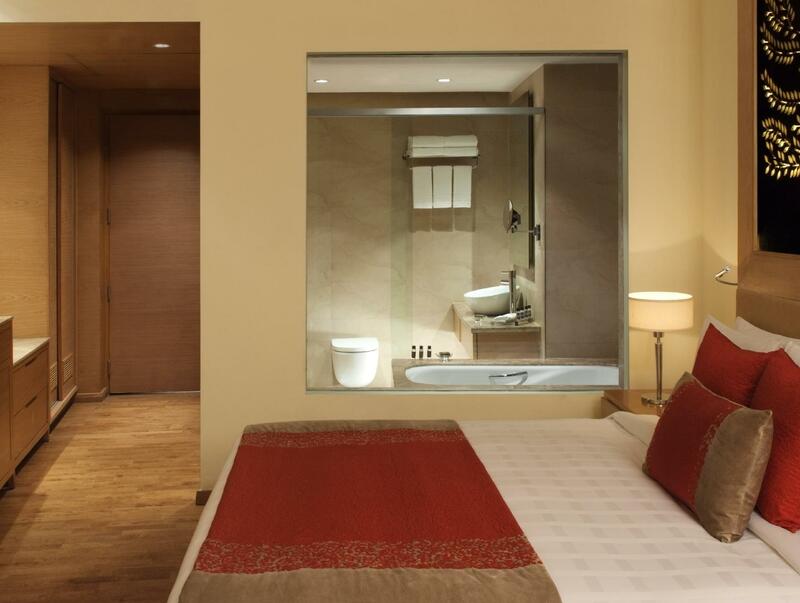 It is a 7 minutes walk from the Dwarka Sector 13 Blue Line Metro stop. I had not been to New Delhi since the Metro opened, and it has revolutionized the City and opened it up to visitors in a host of new ways, so the hotel's proximity to the Metro stop is a huge plus. You can even get there from the airport. The morning breakfasts are first class; there are a number of excellent shops in the hotel (including Fabindia and a Chroma); the 10 story atrium is grand; and the rooms are spacious. Our only complaint--we stayed during January, when the hotel (unlike most buildings) has heat, and the heat was too high (about 74 degrees). After 4 attempts over a couple of days, the maintenance people got it down to 70, but even that was warm. Rooms are small and are not that clean, as we expect from other Radisson Blu. Best part is Shopping Complex which is with Hotel. "Rice" restaurant had ok buffet, don't be late after 9:30 pm, as most of the spread is near finish. Radisson Dwaraka is a superb hotel to stay.its ambience is amazing and enhance positive energy. It was a Comfortable stay .we will come again this hotel and recommend our friends also.. staff attitude towards customer is good food was really delicious and had verity of dishes Thank you.. When I actually had a booking for a Business Room for 3 people, they tried to squeeze us into a superior room. That also they could not give us room until 4:30pm when actually it is mentioned in our booking for 2:00pm. Very clean hotel with adequate amenities. The shower/bathroom is a glass wall open to the bedroom but a screen can be closed for privacy. Had a room with 2 twin beds and had an extra rollaway bed added to the room so 3 people could sleep comfortably. You receive a complimentary fruit dish daily and the breakfast buffet is included. Has 2 restaurants in the hotel (one Chinese, one Indian) that are both pretty pricy. Dear Guest. Apologies for the not so up to the mark experience at our property. We have shared the same with the concerned department. Superb staff, great food, pool that can be used without reservation (rare in Indian hotels). A major problem for me was that the working desk in the room did not allow to sit propperly. The drawers under the desk take so much space that there the chair needs to be set VERY low and the laptop is somewhere in the upper regions between bellybutton an chin. Ok, lets go to the business center, I thought. The business center has a lot of nice couches but not a single work desk. If you want to relax and be pampered, come here. If you need to use a table for work, choose a different hotel. Great service and check in by staff and Vandana on arrival; excellent service by staff at the bar but check out was disappointing; the receptionist was a little too blunt for my liking and I carried my own bags to the car otherwise excellent all round! We were here for just one night in transit. From the outside the hotel doesnt look like much, but the inside is quite impressive. Rooms are big and luxurious and the bed is very comfortable. There is a small mall next to the hotel but there isnt much there. Only one downside: since our flight was early there was a packed breakfast option for us - it was horrible. Maybe the actual buffet breakfast is much nicer. Although the rate was quite attractive the additional costs were quite expensive (such as food or laundry service) Food in the restaurants was very good. Staff very friendly in general, although quitte annoying that they keep on pushing for drinks, even when your glass is not empty at all and even when you've refused many times already. Hotel's very distant from facilities like restaurants and shopping malls, without a cab or the subway you are nowhere.